Learn what's inside while cleaning your outside! Contemplate your posterior (and antier) interiors and get intimate with your osseous anatomy. 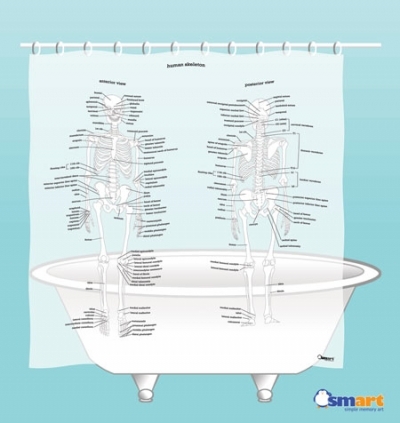 The SMART Human Skeleton Shower Curtain is edutaining and orthopedically stylish! Multitasking at its finest. 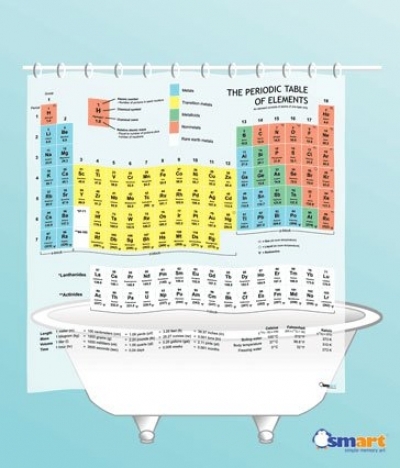 Learning all the bones in your body while in the one place are you one with yourself LOL Love this shower curtain. Everyone read while in the batthroom, why not learn about your bones! An interesting way to get some extra education in your child's life. Other products by Simple Memory Art, Inc.